When considering filing a patent, you'll quickly realize that there is more than one way to go about doing so. Each patent has its own pros and cons, and each should be carefully considered before determining which patent you should file. An often overlooked and under-utilized patent is the design patent. The design patent is used to protect appearance over function. A design patent does exactly what you'd think � it protects against the design or appearance of your product. Design patents differ from utility patents. Utility patents protect the way the product works, in addition to its appearance. The USPTO states that "a design consists of the visual ornamental characteristics embodied in, or applied to, an article of manufacture. Since a design is manifested in appearance, the subject matter of a design patent application may relate to the configuration or shape of an article, to the surface ornamentation applied to an article, or to the combination of configuration and surface ornamentation." Imagine coming up with a design for a new handbag. You can file a patent to protect the appearance of the handbag by filing a design patent. You would not want to file a utility patent since you are not offering any new intellectual property regarding the product's function. It is clear how a handbag is supposed to operate; this is nothing new. But, a design patent would protect against the specific handbag design you�ve come up with. If other companies produced handbags, they would not be infringing on your patent, as long as the appearance of their product does not match the appearance of your product. 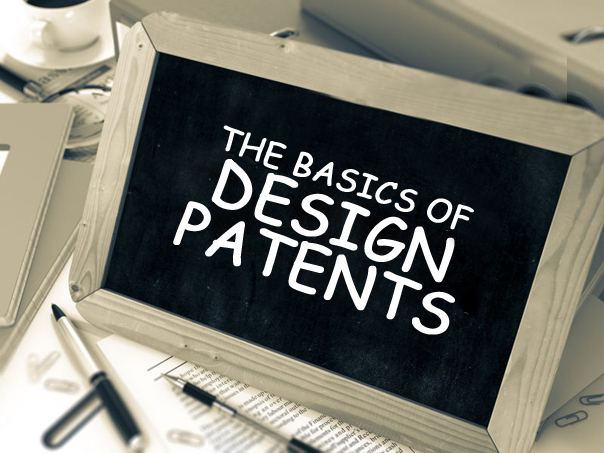 Why Obtain A Design Patent? If you're looking to protect the design or appearance of your product more so than its intended purpose, then a design patent could be in your best interest. Design patents can be obtained rather quickly, which can allow you to begin moving your product to market with patent protection. The patent is also inexpensive to obtain, and you could easily reap the rewards once you begin selling your patented product. Once you've obtained a design patent, you'll be able to legally market your product with the term "patented design." Design patents will not require as much work to file, either. Since they are protecting the appearance of the product, you'll simply need to provide drawings of the product, with very little text. As has been discussed in previous blog posts, utility patents require extensive descriptions that could require outside legal counsel to complete. Design patents require top, bottom, front, back, left and right views; many applications also provide a perspective view, which is typically beneficial. How Can You File For A Design Patent? The USPTO states that the elements of a design patent application should include eight things. The Preamble, which states the name of the applicant and the title of the design. It should also include a brief description of "the nature and intended use of the article in which the design is embodied." Any cross-references to similar or related applications. These can also be included in the application data sheet. Any information regarding federally-sponsored research or development. This should be provided in the form of a statement. A description of the drawings that you've provided with the application. Typically, these do not have to be too extensive, considering that the drawings will do the best job demonstrating the product's design. A single claim which "defines the design which the applicant wishes to patent, in terms of the article in which it is embodied or applied. The claim must be in formal terms to 'The ornamental design for (the article which embodies the design or to which it is applied) as shown.'" The drawings or photographs you wish to include. A successfully-executed oath or declaration. Just like utility patents, you'll still have to pay a fee to file your design patent. There will be a filing fee, search fee, and examination fee that will need to be paid when you submit your application. If you can prove that you are a small entity � classified as an independent inventor, a small business concern, or a non-profit organization � then your filing fees will be 50% then they otherwise would be.